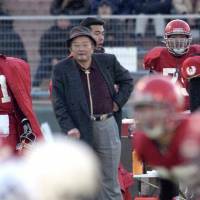 The 21-time national champion Nihon University Phoenix have always been one of the most respected teams in the 80-plus years of American football in Japan. But the school’s elite status is currently in jeopardy because of a fallout from the scandal caused by a dirty tackle. Nippon TV reported Saturday that a disciplinary committee organized by the Kanto Collegiate Football Association has decided former Nihon University head coach Masato Uchida and his former assistant coach Tsutomu Inoue “have lost the credibility of American football.” The TV station also said Uchida will be given a lifetime ban from the league and Inoue will be disqualified as a coach, while the defending champion Phoenix will be suspended indefinitely. Although American football is not a major sport in Japan, the Phoenix have been well-known since their golden era during the 1970s and ’80s, during which they reached the Koshien Bowl — the collegiate national championship game — 16 times, winning nine times. 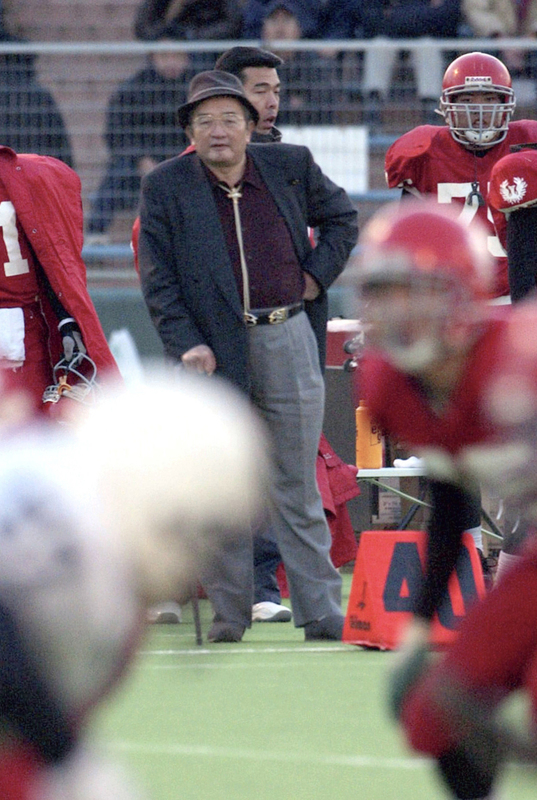 What made the Phoenix known even to non-football fans was their legendary coach Mikio Shinotake, who guided the school to 17 championships during his 44-year tenure. Shinotake, who passed away in 2006, introduced the shotgun formation to the team after he became head coach in 1959, and deployed a passing attack that eventually became the team’s signature playing style. The Yokohama native organized gruelling practices that often lasted more than seven hours at a time. He also didn’t hesitate to yell at players or even officials during games. Those things made him a charismatic character in the football world, and often instilled fear in those around him. As a football writer and former college player myself, I witnessed Shinotake’s “Godfather”-style authority many times. He was always surrounded by attendants, even on the sideline where someone held an umbrella for him when it rained. There were times when reporters stood and listened to Shinotake speak for more than 30 minutes. It is not too much of a stretch to say his attitude could be considered arrogant — at any time and to anybody. That said, I have rarely heard former Phoenix players say bad things about Shinotake. He loved to talk about football and his players. He spoke in his own words and never sounded vague. Uchida, a longtime assistant under Shinotake, wanted to follow in the legendary coach’s footsteps. But he failed. Uchida had the authority, made his players fear him, and took full control of the team. But Uchida failed to earn the trust of his players. Taisuke Miyagawa, who delivered the illegal tackle to the Kwansei Gakuin quarterback in the May 6 game, said in a press conference last week that he was ordered to hurt the quarterback. Kosei Okuno, the Kwansei player, sustained ligament damage in his spine as a result of the hit. Okuno returned to competition on Sunday afternoon. A source told The Japan Times that the other players will disclose a statement soon that includes testimony that Uchida gave the order, a charge which Uchida denies. In the end, Uchida was no real comparison to Shinotake. The Phoenix have no choice but to change all their coaches and establish a new reputation for clean play. That is the only way they regain their credibility.